Art print reproducing the screenprint on paper Tortured Life. From As is when by Eduardo Paolozzi. Eduardo Paolozzi Tortured Life. From As is when 1964 © Trustees of the Paolozzi Foundation, Licensed by DACS 2018. 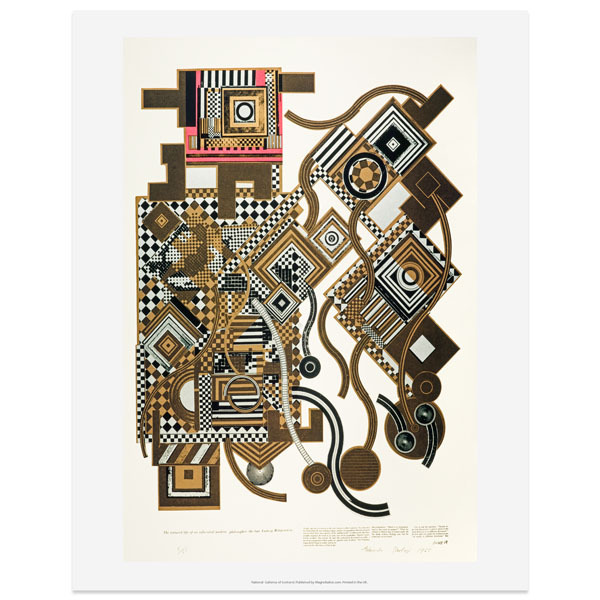 Art print reproducing the colour lithograph on paper Man's Head by Eduardo Paolozzi. Poster print featuring the work on paper Sack-o-sauce by Eduardo Paolozzi.